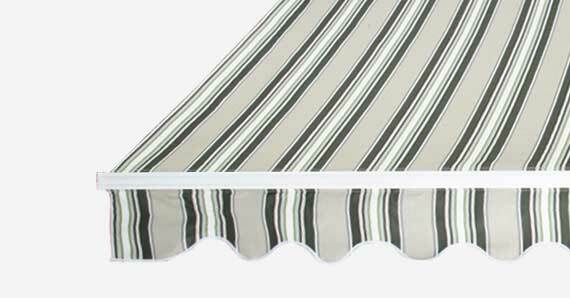 At BoydsDirect, we sell awnings and canopies suitable for different situations for your home and garden. Greenhurst Easy Fit Awnings are the UK’s biggest selling brand of retractable patio awnings, available in a choice of fabrics and three different widths, 2.5m, 3m and 3.5 metres. Our door canopies, available in white or black finish, are perfect for providing protection from the elements and are suitable for use as smoking shelters and cashpoint covers. The wall mounted gazebos create a room outside, ideal for relaxing or entertaining. Easy to install with easy to follow instructions, the awnings can be easily removed from the brackets for winter storage.